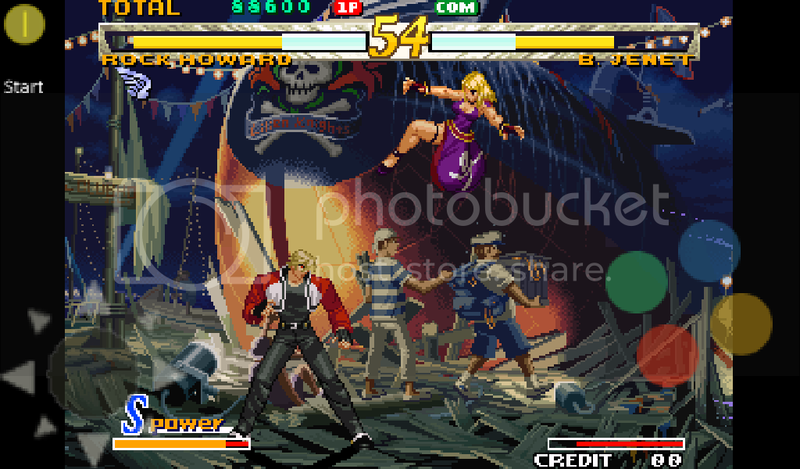 A NeoGeo emulator for Blackberry 10 based on the Playbook version found here. 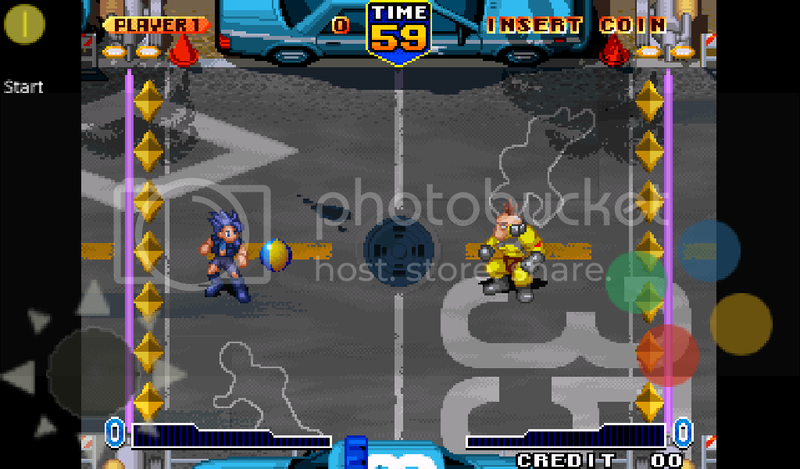 A NeoGeo bios is needed to play games and will be consist of several files that are described here. You need the files ng-lo.rom, ng-sfix.rom, and at least one the country bios' (asia-s3.rom, vs-bios.rom, usa_2slt.bin, or sp-s2.sp1) depending on which country code you want to use. When you first run the emulator the bios selection screen will open. If you press the "Set from Folder" button on the action bar you only have to select one of the bios files and it will try to find all of them in the same directory. ROMs will each have two parts. A zip file that contains the actual ROM and an rc file that will describe the memory layout for the ROM. 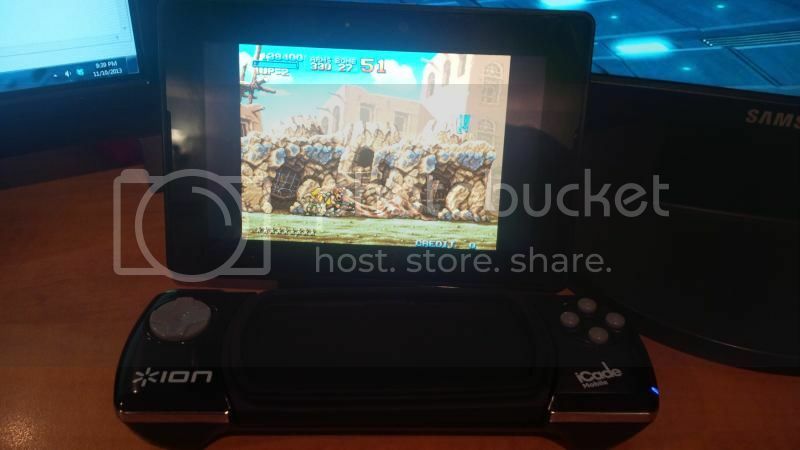 You can see more information about the ROMs in the discussion for the Playbook version. When you load a zip file the app will attempt to find the corresponding rc file (with the exact same filename but with an rc file extension) in both the same directory as the zip file as well as a "romrc.d" subfolder. If the rc file is not found by the app it can be manually set through the edit ROM screen. If you load a zip file but the play button doesn't become active it is probably because it has not found an rc file for it. If you have several ROMs that you want to load all at once into the recent files list for easy access later use the "Populate Recent List" action which will open a file browser that lets you select all of the zip files at once. The touchscreen has a d-pad, coin, start, A (red), B (yellow), C (green), and D (blue) buttons visible as well as save/load state, switch player, and return to homescreen buttons invisible in the top right corner (swipe down to see and change the position of all buttons). Mecca EL and NewFordOrder like this. 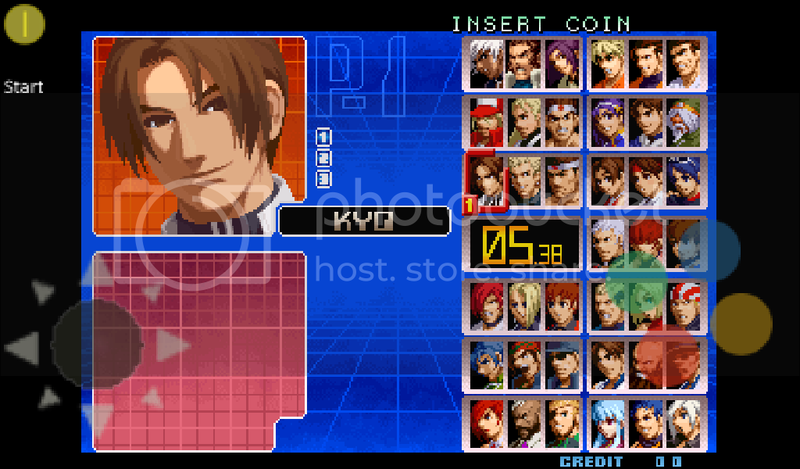 For an easy set up here is a pack containing all the files you need and 35 neogeo games with their respective rc files, the pack includes games like metal slug 1-5 and kof 2001 and 2002! Have fun bb10 users!!!! If you have any questions about the emulator I can answer them. Last edited by Blackman91; 10-15-13 at 03:57 PM. Mecca EL, Sh1ndo and NewFordOrder like this. The ROMS folder inside the pack contains the necessary zip files and the folder called romrc.d contains their respective rc files. The PlayBook version says Multi-player.....can PlayBook be linked to BB10 version? If so, how is it done? Only 2 players on the same device. On the playbook 2 players can play on a single bt keyboard or one can play using the touchscreen and the other on the keyboard, you can even pair 2 bluetooth keyboards to the playbook and both players can play using different keyboards because the layout is different for each player. Also if one is playing with the touchscreen and the other with the keyboard you can select your player using the 1-2 touchscreen button, that way the player playing with the keyboard can play with the most comfortable layout for him. I think you can also use a bt keyboard to play on the z10 the same way but the keymapping is different because of the Q10. No bt controller support yet apparently cause the dev doesnt have a bt controller. You have to unzip the file, this pack contains 6 more games: Bangbead, Ganryu, Magical Drop 2, Soccer Brawl, league bowling and Pleasure Goal. 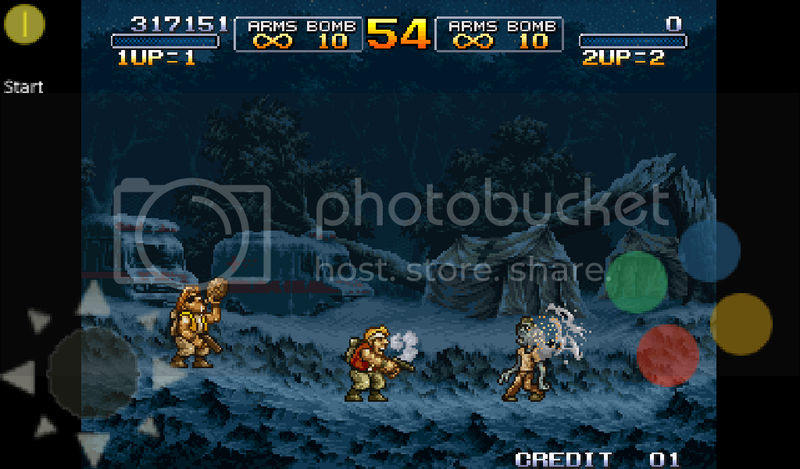 Someone needs to upload a video playing metal slug 3 with the Q10 keyboard, that would be awesome!! Yeah that would be awesome!! 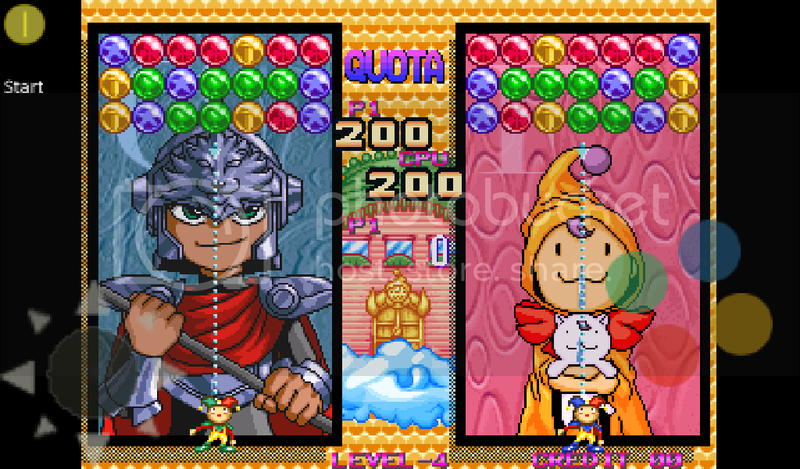 especially cause of the 2 player support, the responsive controls and the save states. I really appreciate it and people like you who add more content to the community really deserves a thank. Best emulator for the playbook. This is awesome. I can't wait to sideload it but I'm going to have to, seen as I am computer-less at the time being. Is There A CrackBerry App for Nokia?? Problems reloading OS for Z30, Languages issue.